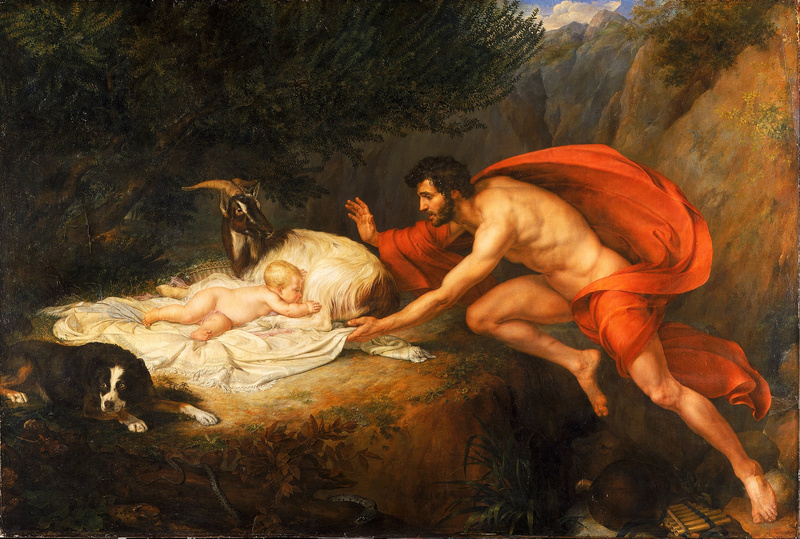 SPIRITUALITY SCIENCE – WHOLE MEDICINE: The birth of Aesculapius. The Healing Art of Ancient Greece. Medicine is among the most ancient of human occupations. Evidences of the practice of ritual healing, combining religion, and primitive science, are found in the earliest traces of human society and communal living. 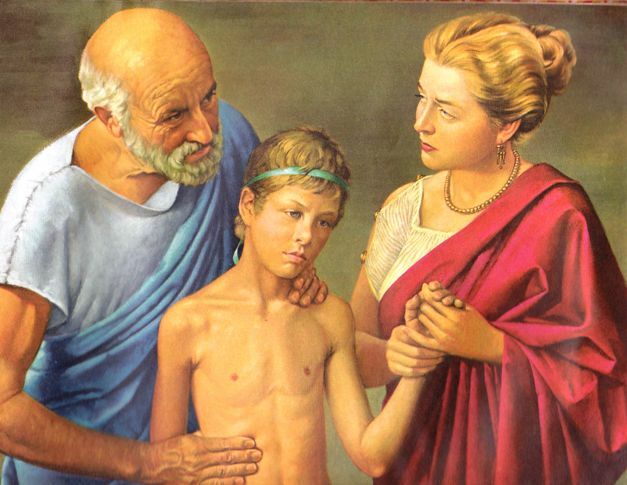 The Healing Art of ancient Greece was associated with the worship of Apollo who taught Medicine to Chiron and it was passed on to Aesculapius who could be a real person that lived in Greece around 1,200 B.C. The term ‘Asclepiad’ describes a physician and it was used to designate physicians belonging to a family that had produced well-known physicians for generations. SPIRITUALITY SCIENCE – WHOLE MEDICINE: While the physician in ancient Greece was called Aesculapius, the place of Healing was known as the Temple of Aesculapius. Healing was considered to be a Divine Function or it involved Divine Mechanisms. In ancient Greece, the knowledge of Medicine was imparted at Medical Schools and such institutions of Learning were known as ‘Askleipion’. 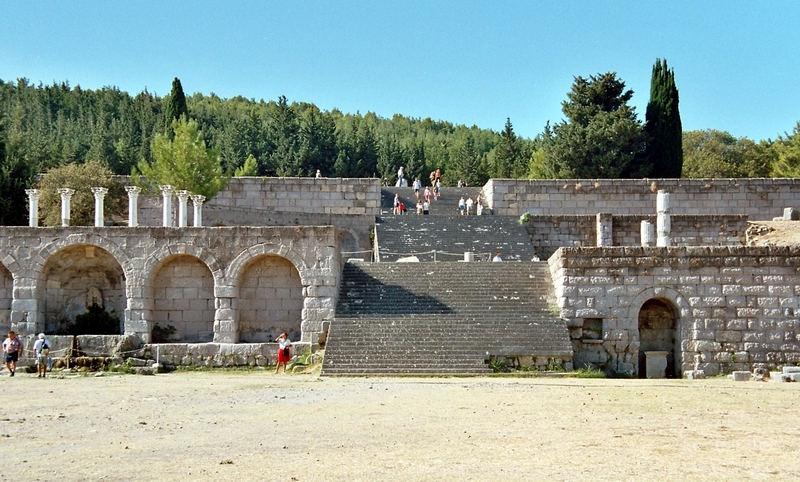 SPIRITUALITY SCIENCE – WHOLE MEDICINE: This ancient School of Medicine is called the ‘Askleipion’ and this could be the Hippocratic Medical School of Kos, Greece. SPIRITUALITY SCIENCE – WHOLE MEDICINE: Hippocrates, Greek physician of antiquity is traditionally regarded as the Father of Medicine. He belonged to the Greek Island of Kos. 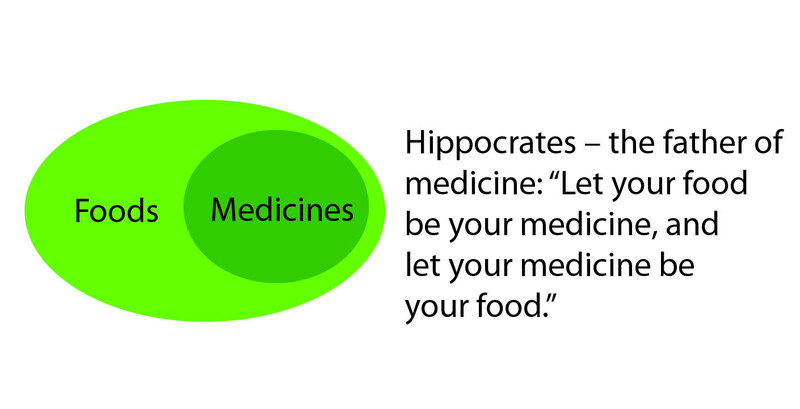 Hippocrates, c. 460 – 377 B.C. was undoubtedly a historical figure in spite of the fact that most accounts about his life could be imaginative. Little is known about him, but a great tradition surrounds his name. Apart from practising his art, he presumably taught at the Medical School at Kos. SPIRITUALITY SCIENCE – WHOLE MEDICINE: Hippocrates exercised a permanent influence on the development of Medicine and on the ideals and ethics of the medical profession. 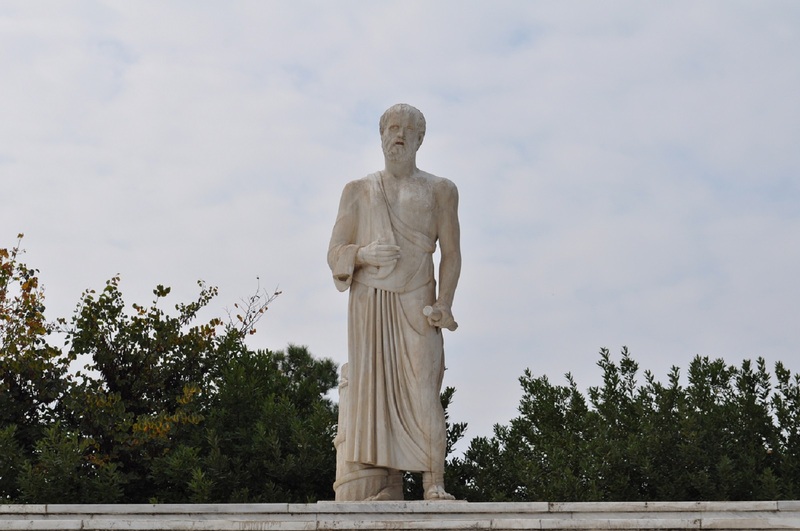 Greek philosopher Plato called Hippocrates, “The Asclepiad of Kos.” Greek philosopher Aristotle said that, Hippocrates was called “The Great Physician.” Hippocrates had a philosophical approach to Medicine. He regarded the body as a “WHOLE” – that is, as an Organism. His medical practice resulted from his collection of information regarding parts of the body into an embracing concept and thereafter, the division of the “WHOLE” into its parts. He had promoted Medicine based on objective observation and deductive reasoning. SPIRITUALITY SCIENCE – WHOLE MEDICINE: Hippocrates stressed the importance of relying on facts, clinical observation, and experiment. Hippocrates stated that it is more important to know what sort of person has a disease than to know what sort of disease a person has. In a quote attributed to Hippocrates, he claimed that wherever the art of Medicine is loved, there is also a love of humanity. Hippocrates may not have authored the so-called “Hippocratic Oath”, but he could have stressed the ethical code for the medical profession. He had also stressed the importance of diet and hygiene. 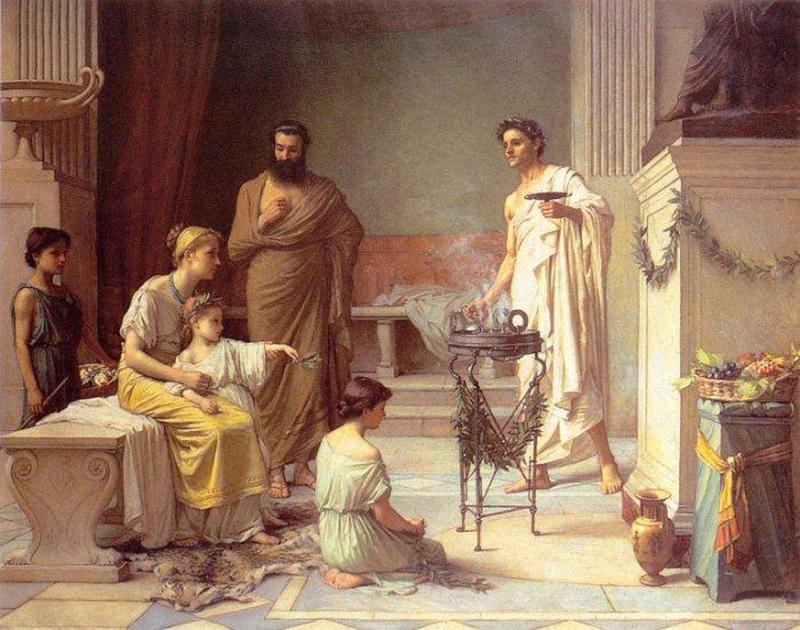 SPIRITUALITY SCIENCE – WHOLE MEDICINE: Hippocrates stressed the importance of human nutrition, the role of diet in the causation of disease and the use of food in treating disease. 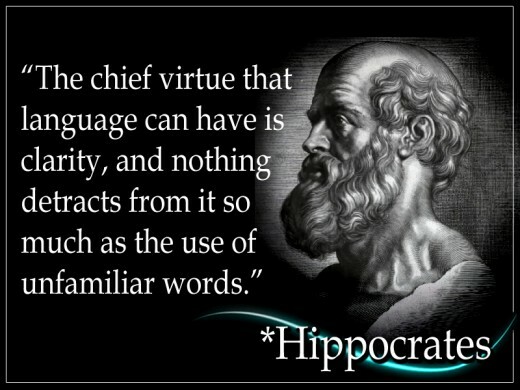 The principles taught by Hippocrates are, 1. a physician should work not for personal gain but for love of humanity, 2. disease should be studied by meticulous observation, and cases should be carefully recorded and studied to establish a prognosis, 3. disease is often the result of environmental forces, diet, climate, and occupation, and 4. a physician should emphasize simple treatment supplemented with careful diet and surgical intervention when necessary. In spite of the breathtaking rapidity of developments in modern Medicine, the basic concepts are still the same. SPIRITUALITY SCIENCE – WHOLE MEDICINE: If man is viewed as a “WHOLE” Organism, the organism is derived by the growth, multiplication, and development of this “Whole Cell”, the fertilized Ovum. I am advocating a systematic study of the Physical, Mental, Moral, Social, and Spiritual aspects of man’s well-being in relation to health and disease. 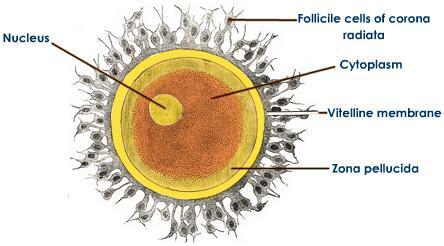 Such as study must include the concept of this “WHOLE CELL” which has all the attributes that can be observed in man. Medicine is the Science and Art of Diagnosing, Curing, and Preventing Disease and it includes the relief of pain, minimizing of disabilities, improving, preserving and maintaining health. The term ‘Medicine’ is also used to describe any drug or other substance used in treating disease, healing, or relieving pain. In several native traditions across the globe, Medicine may include any object, spell, rite, etc., supposed to have natural or supernatural powers as a remedy, curative, preventive, or protective. The idea of ‘Take One’s Medicine describes the requirement to endure just punishment or accepting the results of one’s action. In my view, Medicine must be concerned with the status of man in the universe, in his natural environment, in his social community while the man exists as an individual with individuality. In other words, Medicine as a Science must primarily be concerned with the biological basis for the reality of man’s physical existence in the world. A systematic study of the biological basis of human existence would demand the study of Soul and Spirit as the vital, animating principle found in all living things. I seek the existence of Soul and Spirit in a substance that is basic to life activities. Spirit or Soul must be found in a living material substance that is responsible for all living processes. The term Soul and Spirit belong to the materialistic realm where the physical reality of man’s biological existence is established. Further, I do not intend to use the term Soul or Spirit as a metaphysical or transcendental reality independent of the living organism. I would define the phrase “Whole Medicine” as a systematic study of the Physical, Mental, Moral, Social, and Spiritual aspects of Man’s Well-Being in relation to health and disease while the man exists as a Created Being.